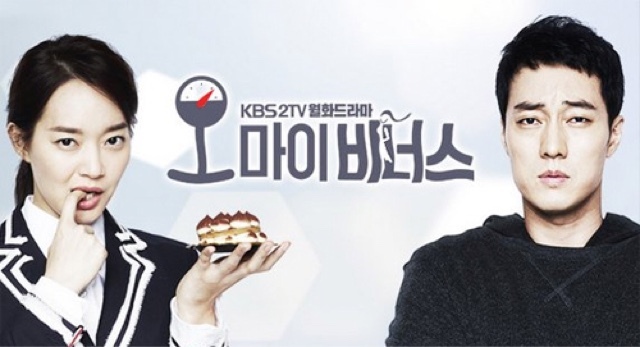 With many Korean drama talking about beauty and slimming down, this two drama does talk about these factors in an entertaining manner. Between these two drama, which one do you like best? In my opinion, both of them are pretty different yet talking about the importance of beauty at the same time. Perhaps, it is in our culture to look good in order to feel good and be optimistic about our future. Sa Geum Ran is a kind-hearted and unattractive woman with the character of an ahjuma (auntie). She was married to a well to do family but was badly treated by the whole family. After a fatal accident which involved her husband, she escaped death and met Han Tae Hee, She sought to transform her looks to take revenge on her husband, Han Tae Hee agrees to help her in the transformation with an ulterior motives. Through plastic surgeries Sa Geum Ran became a beautiful woman and changed her name to Sa Ra. Gradually, Han Tae Hee begins to fall in love with Sa Ra as he assisted her in the plan for revenge. This is a romance comedy about revenge, success and love. Basically, i love the story line and the interesting characters. I had seen Han Ye-Seul acted in a few drama and this character is somehow similar to the other drama - Couple or Trouble. The only difference is that this character is more down-to-earth. Likewise, she was betrayed by her husband and suffered accidents. In her most unfortunate and desperate moments, she met a kind soul and a hero for her to live her life again. Joo Sang-Wook and Han Ye-Seul have good chemistry and is convincing as a couple. It is hilarious to see Joo Sang-Wook acting as Han Tae Hee, who is a comical genius. Sometimes, he appears to be in a confused state whenever he see Sa-Ra. He always acts in serious role and i seldom see him acting so relaxed and cute in any drama. Despite the fact that the main characters are matured in age, they can act cute and funny at the same time. There were some touching scenes such as the main characters supporting each other along the way and is always there for one another. The doctor and ahjuma interaction is pretty cute and funny too. Like any drama, the drama do have flaws which is hard to explain. For instance, the total transformation of Sa Geum Ran is too unbelievable. The whole revenge plan is rather silly and i don't like the way she executed the "plan" as it sounds so harmless and i am not anticipating anything from the script writers after the first few episodes. There are some parts which are draggy too. Jang Gyu-Woon is really good as a villian and i really hate his character in this drama. Every time i wished to see him and his family gets punished severely. It is gratifying to see all the villains down-fall and received their tribulations. I love that the drama have clear and define villains to hate and the good characters to support. At least there is a plot to follow and to look forward in every episode. I think the drama is moderately good if we can overlook some of its flaws. Generally, i like this drama and hope they have more sweet moments every time the couple appears onscreen. Young-Ho (So Ji-Sub) comes from a wealthy family background. He has been suffering from a devastating leg injury since his childhood days. He overcame his problems through stubbornness and determination. His other identity is a personal trainer for celebrities and he has two friends who always supports him. Kang Joo-Eun (Shin Min-A) is a 33 years old lawyer. She used to be very beautiful in her school days. However, she suffered from thyroid problems and became overweight over the years. She is struggling to support her family. So Ji Sub and Shin Min-Ah shares an amazing chemistry. If you had seen the drama, you would be amazed by the two leads. Their every actions and eye contract feels so loving, making me jelly every time they were together. Asides from the cute and interesting romance, i love the interaction between the brothers, Ji Woong and Joon Sung. They were played by the charming duo - Henry and Sung Hoon. In my opinion, Henry does a good job playing himself in this role. I like the enthusiastic and friendly Ji Woong who always light up the scene with his energy. On the other hand, Sung Hoon is so cool and handsome. Despite the cute chemistry from the cast, the plot is a let-down since i do anticipate a lot from this drama after its impressive premise. Sadly, the scriptwriter does not have enough materials to work on and it results in a hasty and inadequate ending. The constant flashbacks implies that there is really nothing else to talk about in the finale. It is so unsatisfying that i rather they fill those emptiness with some other story. For instance, Yi-Jin and Joon Sung love-line can be further explained in this case. I think this couple is cute but there is not enough scene time from the two of them. The viewers felt that Joon Sung sudden interest in Yi-Jin is out of place as he did not show much interest in her all these while. However, i do see the hint that Joon Sung has interest in her. Some people commented that they don't like Yi-Jin character and labelled her as a stalker. I think Yi-Jin did improved herself later on, it is just too bad that those changes were not prominent. The lack of a true villain is another major disappointment. The conflict that was built up from the early episodes came to a halt when the whole revenge plot is not carried out properly by the uncle. The adulterous pair in the drama live a comfortable life after all but let's be forgiving. There are many flaws in this drama such as the inconsistency in the main characters personalities, all the talks about healthy which does not follow through towards the end and Young Ho fast recovery from the car accident which is so sudden makes it unbelievable. In conclusion, I am disappointed that the scriptwriter did not explore more with this incredible casts. I would only recommend this drama for fans who only looks forward to a fluffy romance comedy drama even when the drama falls short in certain aspects.